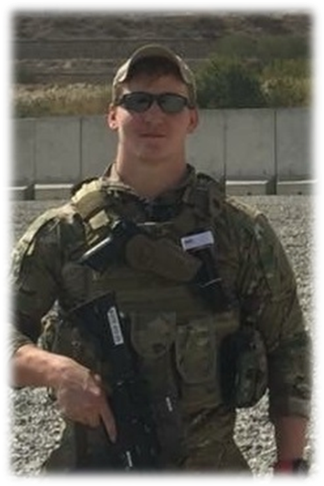 Specialist Caleb R. White was assigned to 4th Battalion, 3rd Special Forces Group (Airborne). He died Saturday, March 4th 2017. SPC White was born in Nashville, TN 24 February, 1993. He joined the United States Army January 3rd, 2012, and began his career as a Radio Operator Maintainer. SPC White served in the Signals Detachment under Headquarters Support Company, 4th Battalion, 3rd Special Forces Group (Airborne). He provided outstanding communications support to countless Special Forces and Direct Support Soldiers. SPC White served in Afghanistan supporting Operation ENDURING FREEDOM. SPC White’s military education includes the Basic Airborne Course, the Ranger Assessment and Selection Program, Combatives level one, Special Operation Forces Local Area Network Course, and the Air Assault Course. SPC White’s military awards and decorations include three Army Achievement Medals, the National Defense Service Medal, the Afghanistan Campaign Medal with one campaign star, the Army Service Ribbon, one Certificate of Achievement, the Basic Parachutist Badge and the Air Assault Badge. He is survived by his parents, Edward and Tina White, and brothers Silas and David White.